Amid growing shortages of life-saving drugs, some back-door suppliers are capitalizing on the problem, jacking up prices for medications for cancer, high blood pressure and other serious problems by as much as 4,500 percent, a new hospital survey shows. 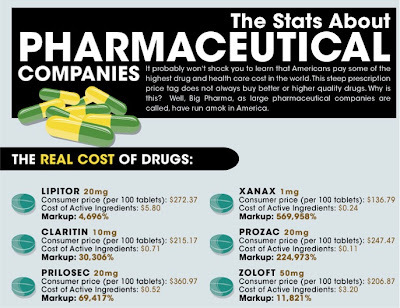 So-called “gray market” medical suppliers — vendors who operate through unofficial channels — inflated prices by an average of 650 percent on drugs that were either back-ordered or completely unavailable. They included widely used but hard-to-get drugs aimed at fighting cancer, ensuring sedation during surgery or treating patients who need emergency care. ...Federal Food and Drug Administration officials say the shortages are caused by manufacturing problems, firms that simply stop making drugs and production delays. The agency has no power to compel manufacturers to make certain drugs, or even to inform health care providers in a timely fashion. Shortages often occur without warning and with no clear indication of when they’ll end. A bill pending in Congress, the S.296 -- Preserving Access to Life-Saving Medications Act, would require that drug makers notify FDA early if shortages are likely to occur. A Senate work group is focused on stopping the shortages. Patients and doctors have grown increasingly desperate as the shortages have forced ill people to delay or cancel treatment, or to substitute medications that can be less effective or have unwanted side effects. “It’s like having a revolver to your head,” said Bob Dierker...who couldn’t get a vital colorectal cancer drug, leucovorin, during his treatments last year. Gray-market vendors offered leucovorin at a 3,170 percent mark-up, the new report showed.